I have always had dry cracked feet, mostly on my heels. I found this great product at www.myfootner.ca. 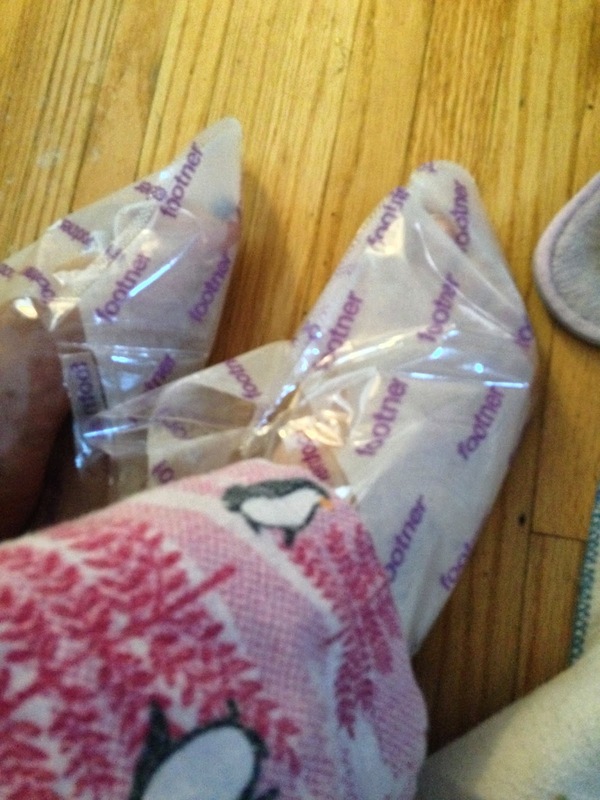 The exfoliating socks are amazing! 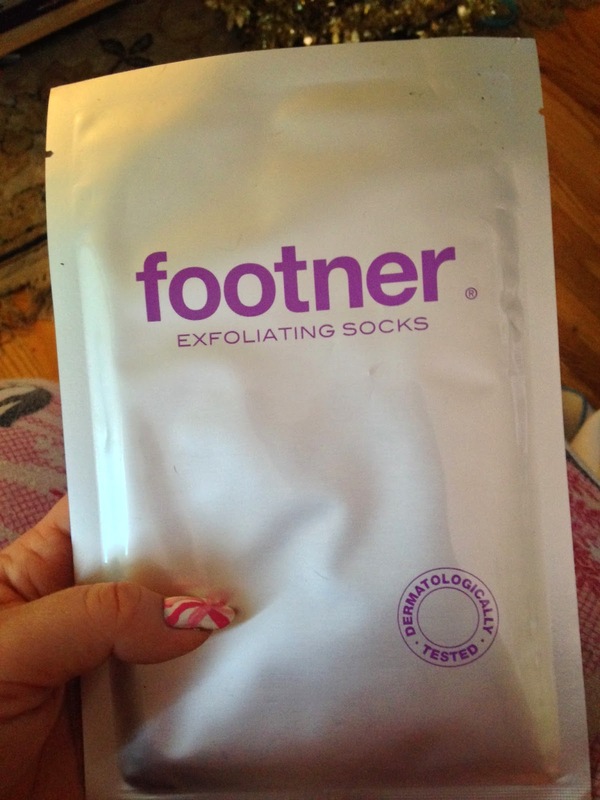 The exfoliating socks uses your own skin's natural peeling effect, causing the upper layer of skin to peel off. This helps to remove dry dead skin cells or hard skin. It can take 5 to 10 days to see the effects. - remove the socks from the packaging. Cut along the designated lines. I cut less to make them fit like a sock - snug around ankle. - relax for 60 minutes, remove the socks, wash feet making sure there is no Gel left over. It is sooooo relaxing! I sat in my recliner and it was just like a spa! I had super soft feet after! 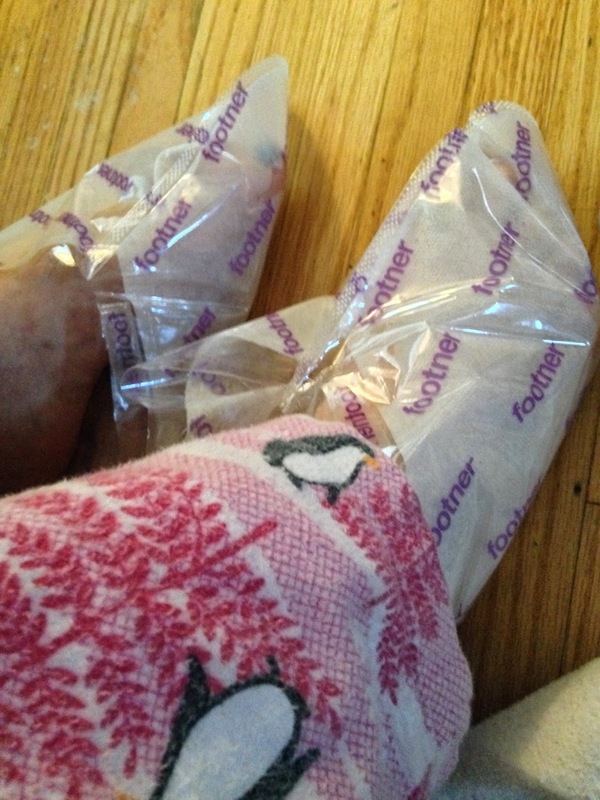 It's like a mask for your feet! Amazing! 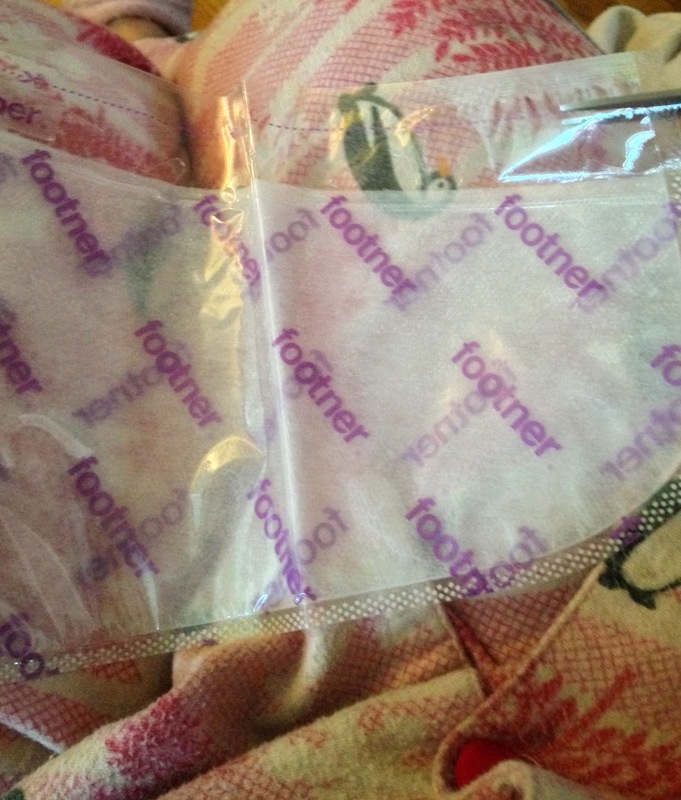 Included in the package was a reusable blister protection pad. I can't wait to use this the next time I am breaking in new shoes! If you have a particularly stubborn area of dead skin (edge of toe, or heels?) they also have the Footner Exfoliating Pen for targeted exfoliation - use twice a day for three weeks to see a difference to those rough, thick areas of dead skin! Footner also has special on-line offers right now.... BOGO 50% OFF! If you or someone you know has dry cracked feet, calluses etc. this is a great gift for them! If you would like more information on Footner, go to www.myfootner.ca.